Greenpoint Open Studios is a weekend long event celebrating a burgeoning art scene in Greenpoint, Brooklyn. It is a collaborative effort between artists, organizations, businesses and volunteers to build a creative platform in which all members of the community can foster and contribute to a support system that encourages the sharing of ideas and relationships. As artist studios and exhibition spaces continue to emerge in the neighborhood we hope to facilitate the growth of a thriving art community. Colorfield paintings have always been a favorite. This is a wonderful conversation with Thorton Willis. His paintings as fresh today as when he began. To describe 21st Century spatial concepts (in painting) is to try and depict the basic interconnectedness of matter in which form only appears separate. In fact, all form struggles to maintain itself in the dynamic flow of space and time. The essence of nature and of our own human existence is change, movement towards or way from one form to the next. Lace in Translation, a new exhibition of contemporary work that explores the intersection of luxurious hand-craftsmanship with modern, mass production. The Design Center at Philadelphia University's historic Quaker Lace Company collection is the inspiration for three internationally-renowned artists and designers reconsidering conventional notions of lace. European designers Tord Boontje and Demakersvan, and Canadian artist Cal Lane have created installations specifically for The Design Center's unique and intimate space - a 1950s era, Hollywood-style ranch house. Gonzalas Cantana performers introduce themeselves! The Philly Fringe festival has a winner with the Gonzalas Cantata. What a great group of folks. The illustration for the poster is by Molly Crabapple of Dr. Sketchy fame. 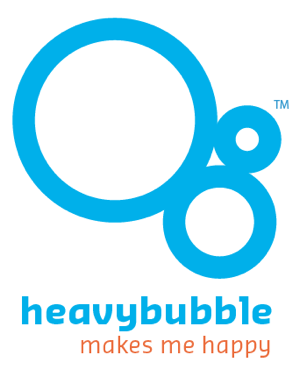 Heavybubble is hoping to get to a performance but deadlines are killing us. Why don’t you go and tell us how you liked it. We had to tell you about this amazing opportunity for art, fabulous food, and conversation this Friday evening. 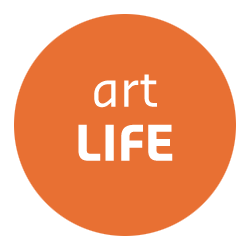 Our friends at Chester County Art Association are offering an amazing five course dinner and an intimate evening with Jesus Moroles, one of the world's leading contemporary sculptors. Jesus will discuss his art and his vision of the art world. Jesus Moroles has more than 2,000 original sculptures in museums, public spaces, and corporate and private collections. So Glad that Rachel Maddow and the mainstream media have finally picked up this story. Performances this weekend! Thirty fabulous artists at The Rotunda in west Philadelphia. Just head on over and buy your tickets. Here’s the link. http://www.livearts-fringe.org/details.cfm?id=9095 BTW, there’s plenty of other artists doing their thing at the Festival check out the full schedule. A wonderful film about the discovery of things. Working, and making without the constraints of the establishment - a new cultural movement began. We see the results of this movement everywhere we look as artists are designers, designers are artists, and geeks and nerds collaborate to tell stories in new collaborative ways. This is the story of a hands on movement that saw no boundaries and made work of all kinds that have influenced a generation. Into the Open, 2009 : Repurpose! A Community Workshop. Saturday, August 22, 10:00 a.m. - 10:00 p.m.
We saw this poster in a mailing and were intrigued by it. Imagine our surprise at how large a project this is. Repurpose! is just one in a number of events in an ambitious program in and around architecture and public space. We invite you to investigate the website and to engage in dialogue and action. Join in this workshop making temporary structures. Looks like making art to us. Make something and talk about it!